Mark your calendars! Tuesday, February 5 from 6-9pm our Food Forest Vice President, Arlo, is hosting a pickling party. We will be pickling cucumbers, papaya, cabbage, and more! Guests may bring recipes or material on pickling. This will also be an opportunity to FEAST. Please provide some food for a potluck dinner, especially home-cooked dished featuring Food Forest harvest. Held at DeLong Springs, FL. Interested? Contact Kelly Walsh by Feb 1. Interested in getting more hands-on opportunities with nature? This semester the Food Foresters will be providing weekly opportunities at Naples Botanical Garden. Find out more information under out Service Learning tab. Our Monday meeting had a great turnout. We were happy to have introduce many new people to the Food Forest. Kelly and Arlo led a demonstration on how to harvest greens, radishes, pigeon peas and aloe. We discussed how to show our appreciation to Mother Nature as we harvest and utilize these resources. For Spring 2013, Food Foresters meetings will be held every Tuesday 7-8pm at a location TBA. The location will be announced via Food Forest Facebook page. This will be a time to discuss permaculture and hang out with the Food Forest gang. Each week will look different, educational films, planting seeds, potlucks, etc! Meetings will also be held every other Monday 4-6 at the Food Forest. Come get your hands dirty and harvest some food. 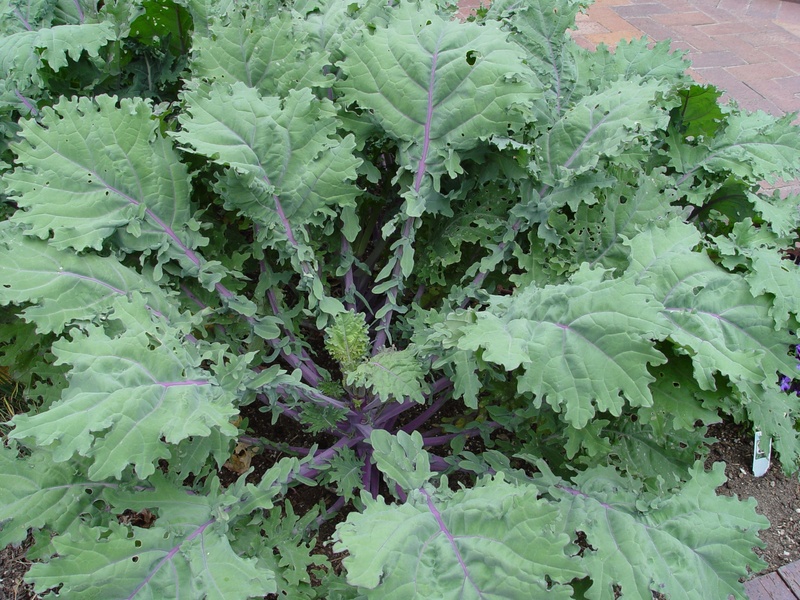 The annual beds are flourishing with red Russian kale, radishes, mizuna, and more. Pigeon Peas are up for harvest. Delicious Passion fruit is starting to ripen. The Food Forest is looking great! Food Forest Hosts "Haunted Food Forest Festival"
The Haunted Food Forest is a multi-organization endeavor the likes of which has never been seen before. Florida Gulf Coast University Students for Environment Justice (S4EJ)'s Power Vote campaign is partnering with the Dominican Republic Outreach Project (DROP) to host a haunted extravaganza at the FGCU Food Forest (a student built and ran botanical permaculture forest) the weekend of October 27 and 28. October 27 is the first day of early voting in Florida and we will be incentivizing voters to get out to the polls early by offering free admittance and some tasty local, organic treats from the Food Forest for anyone that comes with an "I voted" sticker. All others will pay a nominal fee with all proceeds going to the Food Forest and DROP's annual trip to work with children in poverty in Dominican Republic. In total, we hope to engage and motivate 5000-10,000 youth voters and families to get out and early vote! Invite friends and Attend on the Facebook event! Schedule for the weekend will be posted on the Facebook. Members of the Food Foresters are participating in Food Day this year. On Wednesday, October 24, FGCU students will have the opportunity to find out about sustainable food. The tabling will take place in the Cohen Center from 12-2pm. Food Day is a nationwide celebration of and movement toward more healthy, affordable, and sustainable food. Information about sustainable food will be provided, as well as details on your local farmers markets. FGCU Food Day is brought to you by the FGCU Food Forest and is a part of Campus Sustainability & 350 Awareness Day. ***FREE COOKBOOKS with recipes that feature edibles from the FGCU Food Forest will be available. ***FREE FOOD will be made using recipes from your very own Food Forest. Have a bite of healthy, fresh, & sustainable food! We are beginning to see the fruit of some of the trees that were planted in April. Bananas and many citrus (including limes, fingerlimes and kumquats) are beginning to fruit. We are having a very exciting couple of weeks! This past Friday we went to Naples Botanical Gardens for a service-learning day. We planted trees for them and harvested bamboo for the Food Forest. Saturday we planted the bamboo and several the fruit trees!! Mango, Avocado, Grumichama, Barbados Cherry, Custard Apple and Banana. So delicious and so colorful! Friday March 23: Main Fruit Tree Planting with President Bradshaw! The Backyard Farmers has an exciting day a the Fruit and Spice Park this weekend. The students joined the International Fruit Council on a tour of the park, cleaned around the lake, and harvested bamboo for the Food Forest. WE ARE UNTER INVASION! A worm found in parts of Africa, North America and Indo-Australia. The adult species of the Cabbage loop worm is the brown moth. It damages tomatoes, cucumber and other vegetables, like the potato. Aphids are also known as plant lice, and are sap sucking insects, found worldwide, but prefer temperate regions. Many plants, or leaves are damaged by these buggers. 10.27.11 Fall Planting begins - Students have begun building veggie beds and plant seedlings. Every week seeds are planted in trays and seedlings are transplanted into the ground. This way we will have a constant flow of harvestable veggies for the season. Come out and learn about seed starting, pest management, and fertilizing your organic veggie garden. This week we planted snap peas, green beans, beets, carrots, radishes, collards, broccoli, and a few others. October 20111st-3rd Do Clearing And Plowing, But No Planting. 4th-6th Plant Tomatoes, Peas, Beans And Other Aboveground Crops, Indoors In The North, Outdoors In Lower South. 7th-8th Poor Planting Days. Kill Poison Ivy, Weeds, Clear Land, But Do No Planting. 9th-10th Good Days For Planting Aboveground Crops, Extra Good For Vine Crops, Where Climate Is Suitable. 13th-15th Good Days For Planting Beets, Carrots, Onions, Turnips And Other Hardy Root Crops, Where Climate Is Suitable. Good Days For Transplanting. 16th-17th Poor Days For Planting, Seeds Tend To Rot In The Ground. 18th-19th Best Planting Days For Fall Potatoes, Turnips, Onions, Carrots, Beets And Other Root Crops, Where Climate Is Suitable. Also Plant Seedbeds, Flower Gardens. Good Days For Transplanting. 20th-23rd Grub Out Weeds, Briars, And Other Plant Pests. 24th-25th Good Days For Planting Root Crops, Fine For Sowing Hay, Fodder Crops, And Grains. Plant Flowers. 26th-28th Good Days For Planting Aboveground Crops And Leafy Vegetables Such As Lettuce, Cabbage, Kale And Celery, Where Climate Is Suitable. Start Seedbeds. 29th-30th Do Clearing And Plowing, But No Planting. 1st-2nd Good Days For Planting Peas, Squash, Corn, Tomatoes And Other Aboveground Crops, In Southern Florida, Texas, And California. 3rd-4th Kill Plant Pests On These Barren Days. 5th-7th Favorable Days For Planting Aboveground Crops. Extra Good For Vine Crops, Where Climate Allows. 8th-9th Neither Plant Nor Sow On These Barren Days. 10th-11th Plant Root Crops, Where Climate Permits. Good Days For Transplanting. 12th-13th Any Seed Planted Now Will Tend To Rot. 14th-15th Best Planting Days For Fall Potatoes, Turnips, Onions, Carrots, Beets And Other Root Crops, Where Climate Is Suitable. Also Plant Seedbeds And Flower Gardens. Good Days For Transplanting. 16th-19th Poor Period For Planting. Kill Plant Pests, Clear Fencerows/land. 20th-22nd Favorable Days For Planting Root Crops. Fine For Sowing Grains, Hay, And Forage Crops. Plant Flowers. 23rd-24th Plant Carrots, Beets, Onions, Turnips, Irish Potatoes And Other Root Crops, In The South. Lettuce, Cabbage, Collards, And Other Leafy Vegetables Will Do Well. Start Seedbeds. Good Days For Transplanting. 28th-29th Good Days For Planting Peas, Squash, Corn, Tomatoes And Other Aboveground Crops, In Southern Florida, Texas, And California. 30th Kill Plant Pests On This Barren Day. This weekend our goal is to finish the fence work and continue to work on the Geo-grid installation. A small group will be going to collect bamboos that are being donated to the Food Forest after morning introductions and warm ups. When this group returns, some volunteers will be split off to help that team plant the bamboos properly.